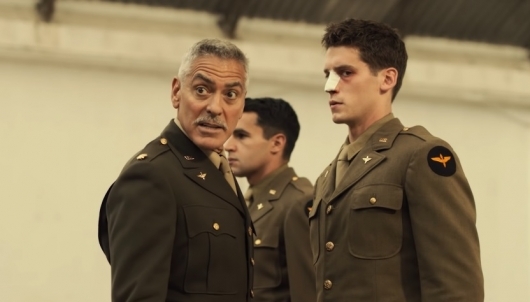 An official trailer has been released for Catch-22, an upcoming Hulu miniseries adaptation of author Joseph Heller‘s 1961 satirical novel of the same name. The miniseries is executive produced by and stars George Clooney, who also directed a pair of the six episodes in the series. Grant Heslov and Ellen Kuras directed the other episodes. Christopher Abbott, Kyle Chandler, and Hugh Laurie also star in the miniseries. You can find a synopsis for Catch-22 and check out the trailer below. 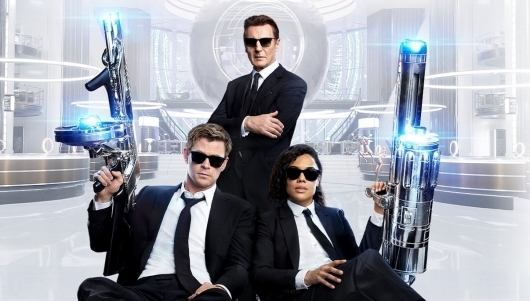 Sony Pictures Entertainment has released a new official trailer for Men in Black: International, the fourth installment of the hit sci-fi comedy franchise which is based on the Lowell Cunningham comic The Men in Black. The movie stars Chris Hemsworth (Thor, Avengers, The Cabin in the Woods) and Tessa Thompson (Thor: Ragnarok, Sorry to Bother You, Annihilation), and is directed by F. Gary Gray (The Fate of the Furious, Straight Outta Compton, Friday). In this latest entry the secretive organization, which is tasked with protecting our planet from any extraterrestrial threats, discovers that it has a mole within its ranks. 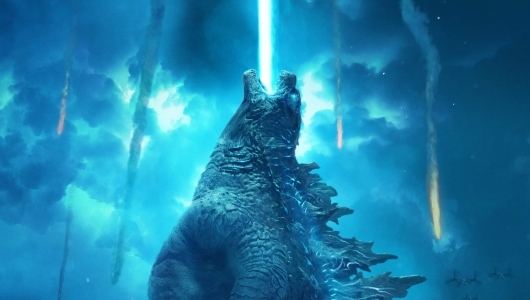 You can check out the latest trailer, as well as a Men in Black: International international trailer, along with a newly released poster below. You’re not going to find many horror fans who will ever get sick of anthologies. They may not all be good, but they’re almost always worth at least one watch on the likely chance that at least one of the segments will be fun. One upcoming horror anthology is titled Nightmare Cinema. It features five tales directed by Mick Garris, Joe Dante, David Slade, Alejandro Brugués, and Ryûhei Kitamura, and stars Mickey Rourke as the character who is connected to the various stories, known as The Projectionist. 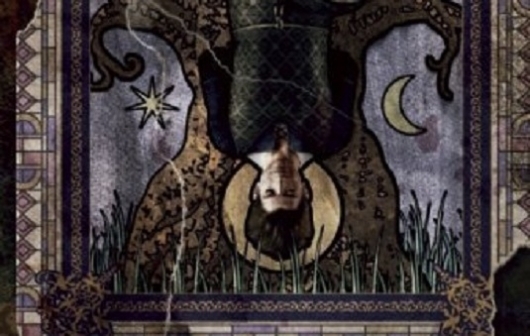 A new trailer for the movie has been released, and you can find it below along with a synopsis. With Days Gone getting ready to release this week, a steady stream of new videos have been released to showcase the game and continue building excitement for its arrival. Recent videos released for the game include one which looks at the game’s world, a brief new gameplay trailer, another which offers an inside look at developer Bend Studio, and finally a video about the main character Deacon’s motorcycle. 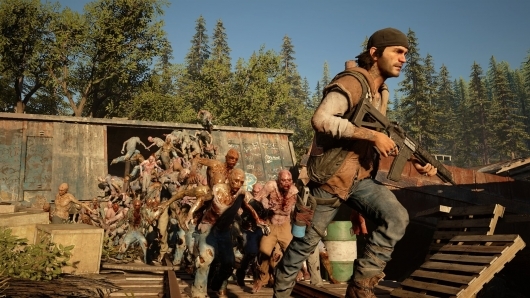 You can find much more info on Days Gone and check out all of these videos below. 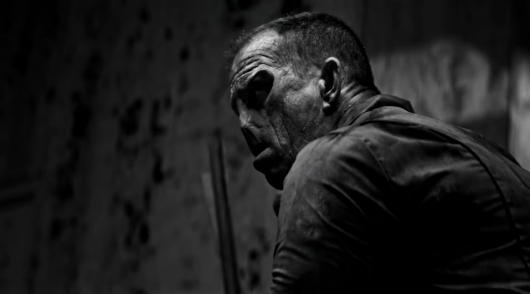 Transmission Films has released a teaser trailer for Danger Close: The Battle of Long Tan, an upcoming Vietnam drama. 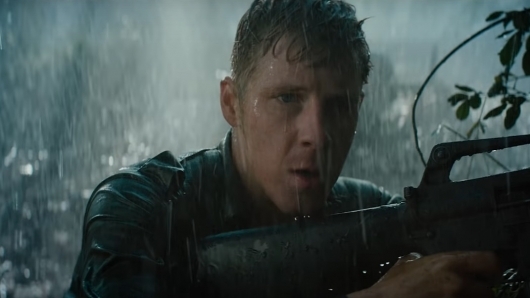 The movie tells the story of a group of ANZAC (Australian and New Zealand Army Corps) soldiers who found themselves facing an enemy which far outnumbered them in 1966. You can find more info on Danger Close: The Battle of Long Tan and watch the new trailer below. After winning Best Picture and Best Director Oscars for The Shape of Water a little over a year ago, Guillermo del Toro has now chosen his next directorial project. The movie is titled Nightmare Alley, based on the 1946 novel of the same name written by William Lindsay Gresham. And now it looks like the film may have some serious star power. It’s being reported that fellow Academy Award winner Leonardo DiCaprio is in talks for the lead role in del Toro’s latest. A show like Sesame Street doesn’t exactly go together with shows like Game of Thrones and Westworld. 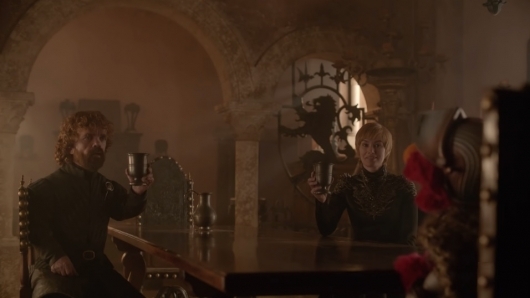 You’re not going to find many adults watching Sesame Street without some tiny humans nearby, and you’d feel bad for any kid who accidentally wanders into an episode of Thrones or Westworld. But with all three of the shows currently housed at HBO, anything is possible. Sesame Street is doing a campaign called “Respect Brings Us Together” as part of its 50th anniversary celebration. And who better to teach a lesson in respect to in a pair of recently released crossover videos than Game of Thrones siblings Cersei Lannister (Lena Headey) and Tyrion Lannister (Peter Dinklage), and Dolores Abernathy (Evan Rachel Wood) and Bernard Lowe (Jeffrey Wright) from Westworld? Click on over to the other side to give both videos a watch. Paramount Pictures has released the first trailer for Gemini Man, the latest from Life of Pi and Crouching Tiger, Hidden Dragon director Ang Lee. 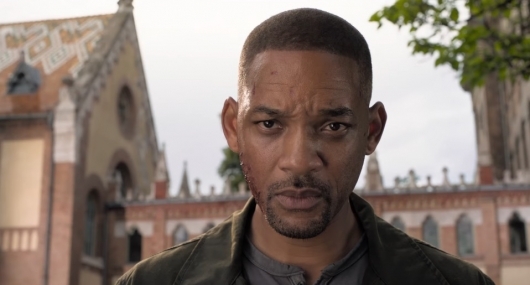 The movie stars Will Smith as an assassin who finds himself being hunted by a younger version of himself. 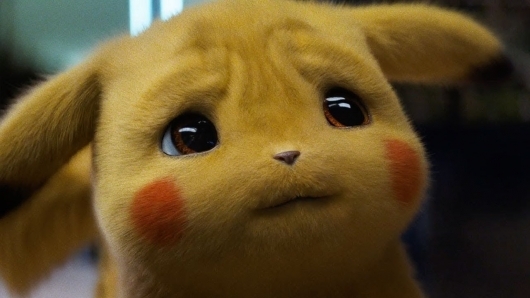 Co-starring alongside Smith is Mary Elizabeth Winstead, Clive Owen, and Benedict Wong. You can find a brief description of Gemini Man and check out the first trailer along with a newly released poster below.